Select Size 13"x19" (A3+)16"x24" (A2)20"x30"30"x40"
The dimensions detailed above refer to the size of the finished print. Please allow an additional 4-6 inches in both directions for framing. 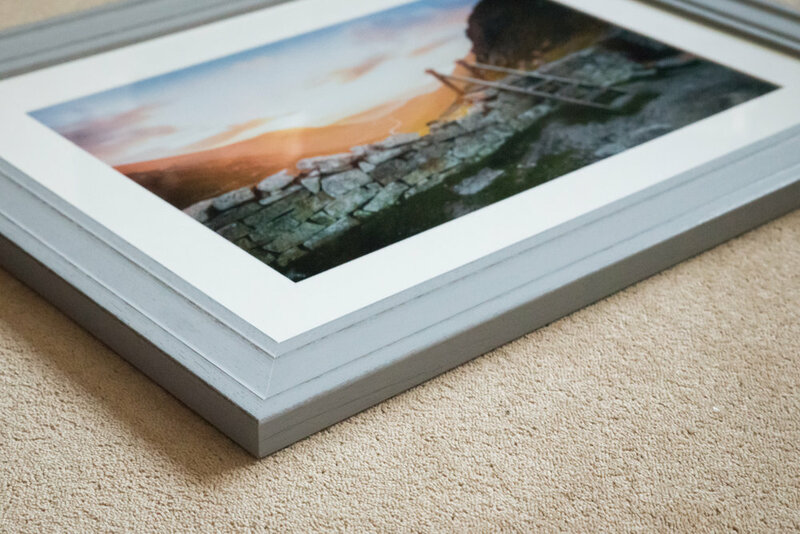 All of my photos are printed using professional lustre paper which provides a semi-gloss finish with beautifully vibrant colours. Other finishes such as Gloss or Matt can be provided upon request. Frames: If you decide to buy a framed print you can guarantee the best in quality. All of my frames are handmade locally using real wood and glass which together provides a truly showstopping finish. Stretched canvases: each one is prepared using thick durable canvas stretched over an exquisite pine frame, providing the perfect balance between rigidity and lightness. Each canvas is also heat sealed to ensure the print doesn't fade when dusting or handling with fingers. If you would like a print in a specific size or finish that isn't outlined above, please contact me using the button below and I will try my best to accommodate your needs. Alternative frames are also available upon request.